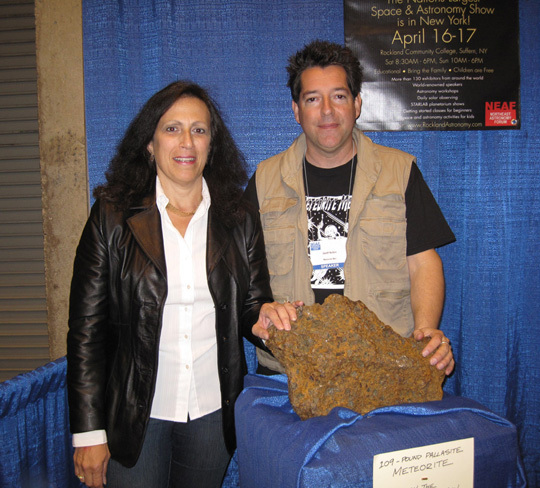 I had the pleasure of meeting the Meteorite Men from the Science Channel show. If you haven't seen the show it's a wonderful blend of science, a treasure hunt, and humor. 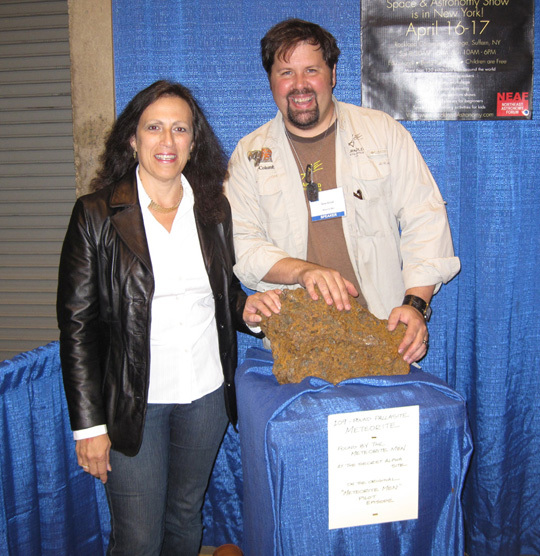 Here I am with Geoff Notkin, Steve Arnold and a 109 lbs meteorite he found. What I wouldn't give to find even a tiny meteorite! Be sure to watch their show and get Geoff's new book "Meteorite Hunting." Just got back from warm, sunny Florida and Mets spring training games. 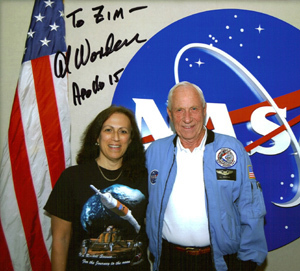 Also had the honor of meeting astronaut Al Worden of Apollo 15. He is a great guy, and believes that our lack of a plan for the space program is very bad science. His biography, "Falling to Earth" will be available this summer. I was capivated listening to his stories, and can't wait to read his book. I asked him if I had a chance of seeing American manned missions again, and he said it will be 10 years before they decide what they want to do, and another 20 before they do it. "Can you hang on another 30 years?" he asked me with a big grin. I told him I would certainly try. Let's hope we all don't have to wait that long to see a return to the Moon and then on to Mars.